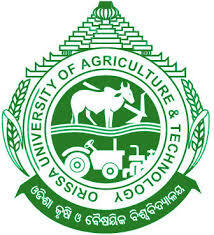 Orissa University of Agriculture & Technology (OUAT) has released a recruitment notification for 99 posts of Senior Scientist and Head, Subject Matter Specialist, Programme Assistant and Farm Manager. Interested candidates may check the eligibility criteria and apply from 26-09-2017 to 16-10-2017. Educational Qualification :- Candidates should have passed Bachelor’s Degree in relevant stream from a recognised university. Selection Process :- Selection of candidates will be made on the basis of Written Test and Personal Interview. Application Fee :- All candidates should submit their application fee directly through deposit pay slip in favour of ‘Comptroller, OUAT, Bhubaneswar’ in SBI Account No. 10173711536 of State Bank of India, OUAT Campus Branch, Bhubaneswar. How to Apply :- Interested and eligible candidates may apply by sending their application form along with the self-attested photocopies of relevant documents and passport size photograph to The Registrar, Orissa University of Agriculture & Technology (OUAT), Bhubaneswar–751 003, Odisha from 26-09-2017 to 16-10-2017.